Luvable Friends Canvas Boys Crib Shoes feature two hook-and-loop straps with a faux leather finish for a snug fit and booties that won't fly off. 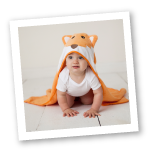 Badge soles are soft and flexible but provide just enough grip for babies who are learning to stand up and walk around the house. 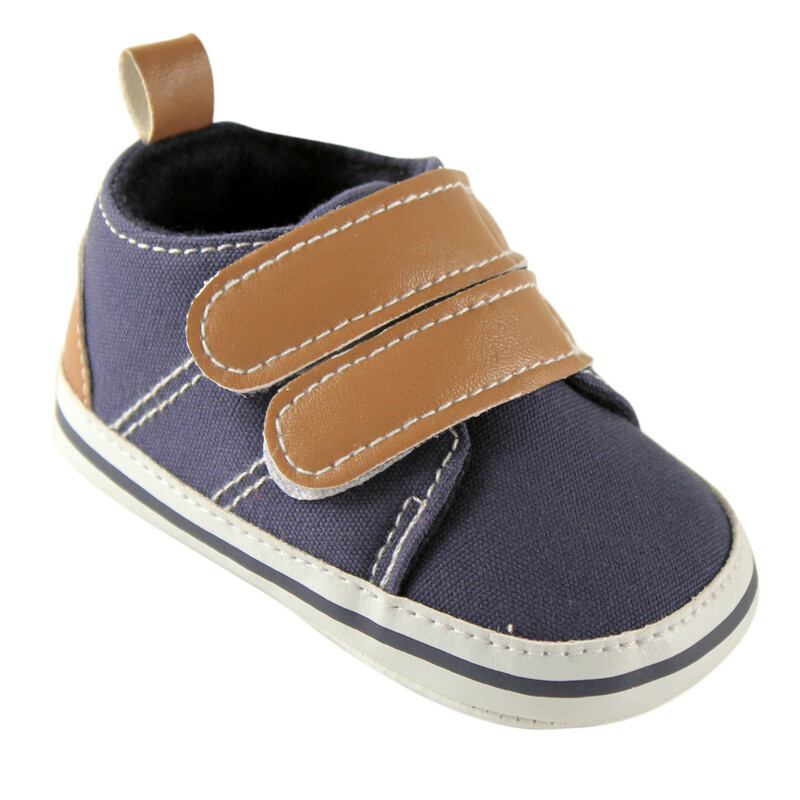 Contrast top stitching on the canvas uppers and faux-leather heel accent panel give these booties a preppy, collegiate look perfect for the baby boy who is already wise beyond his years. A soft brushed sock liner inside the shoes helps keep baby's feet warm and cozy without irritation. Available in sizes up to 18 Months and in several colors to coordinate with any smart cardigan and corduroys you dress your little professor-to-be in.